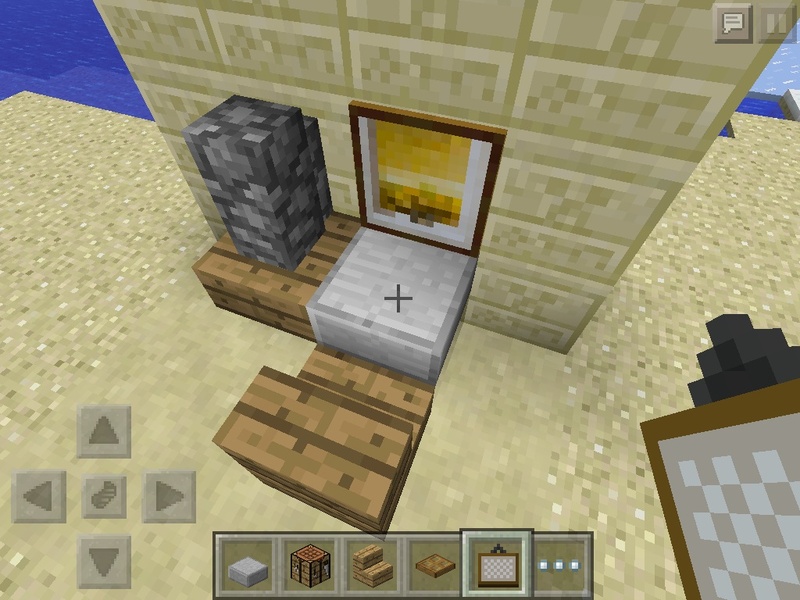 You will need 1 Cobble stone wall, Any kind of 2×1 table, 1 stone slab and 1 picture. 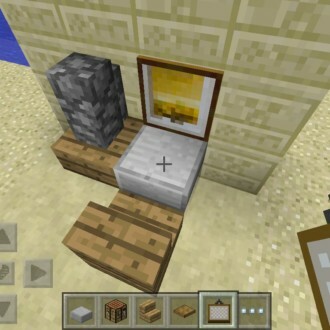 On the table you have break a piece and set the stone slab in the empty spot this will be the keyboard, next place the Stone wall against the wall then place the picture on the wall next to the stone wall! That’s it good job! !